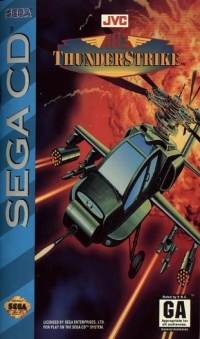 Box Text: Strap into your AH-3 thunderstrike and fly that sacred bird straight into the jaws of terror. Cruise into Panama and rain on a guerilla parade with deadly whistler rockets...Tour the South Seas and test out your AFG autocannon on a fleet of pirate gunboats...Eradicate terrorist strongholds with your GR-3's...With a little luck, you just might last long enough to run a second mission. 10-26-2012 exonerator Box Text Strap into your AH-3 thunderstrike and fly that sacred bird straight into the jaws of terror. 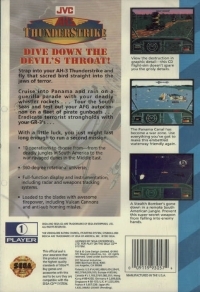 Cruise into Panama and rain on a guerilla parade with deadly whistler rockets...Tour the South Seas and test out your AFG autocannon on a fleet of pirate gunboats...Eradicate terrorist strongholds with your GR-3's...With a little luck, you just might last long enough to run a second mission. 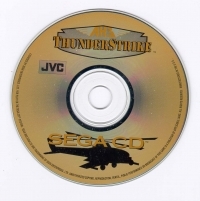 This is a list of VGCollect users who have AH-3 Thunderstrike in their Collection. This is a list of VGCollect users who have AH-3 Thunderstrike in their Sell List. This is a list of VGCollect users who have AH-3 Thunderstrike in their Wish List.